DAVID LE/Staff photo. 8/4/15. 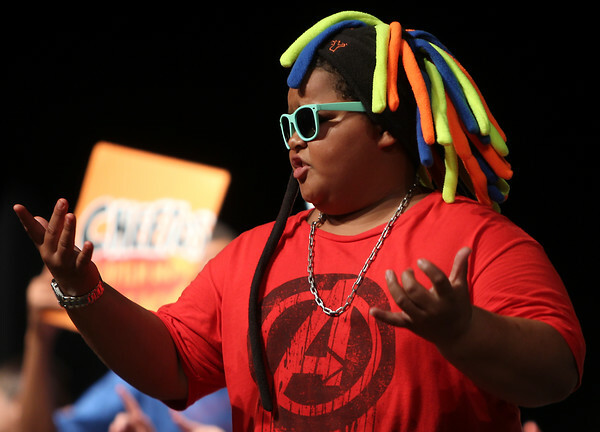 Caleb Kane, 12, dances to the beat of the song "Hot Cheetos and Takis" during a lip sync competition held at Beverly High School on Tuesday evening after weather moved the performance from its usual spot at Lynch Park.